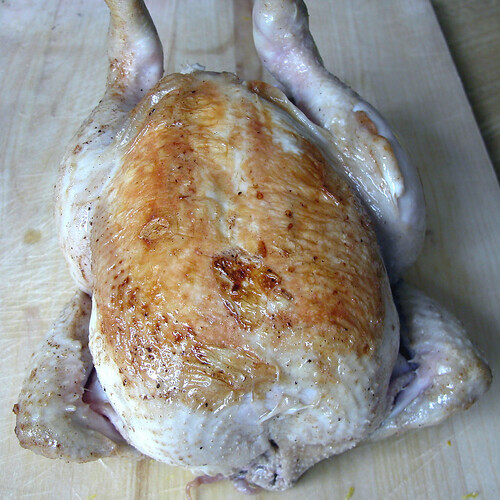 There’s the chook – another organic one. 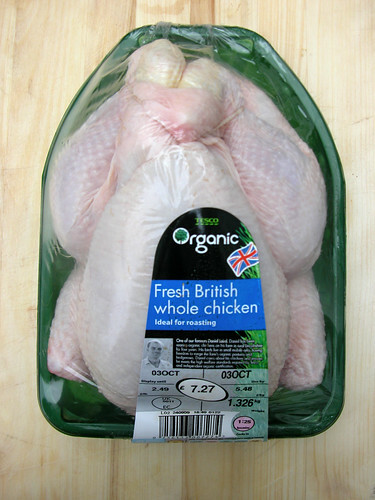 Mr. Oliver – do you have shares in an organic chicken farm…? I never can tell the difference. Will I be lynched for saying that? It seems like a foodie crime. This recipe makes me weep – look at that giant block of butter at the back there. Guess what you do with that beauty? 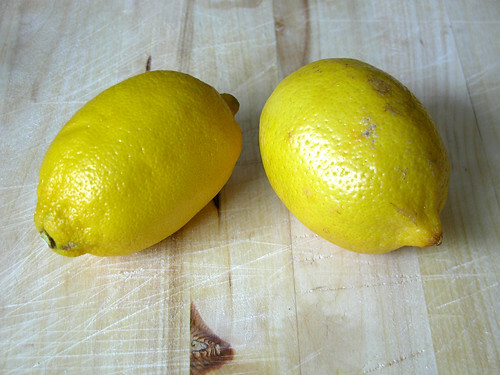 Use it for frying and then…. throw it away. Oh no, I don’t think so! I used some of it to cook some pink fir apple potatoes, and very nice they were too. Throw it away, psh. 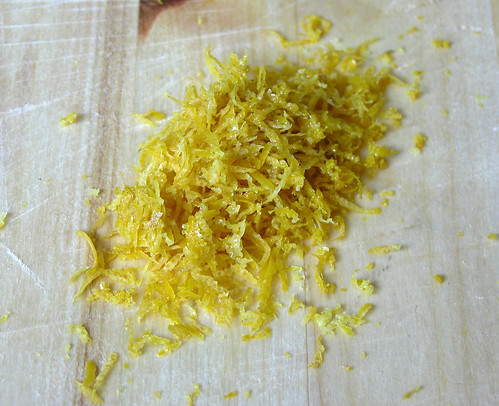 Looking at the picture for Jamie’s version of this, his lemon zest is more like lemon peel. I did try to do it like that, but my knives defeated me. So these are the flavourings of your chicken in milk. 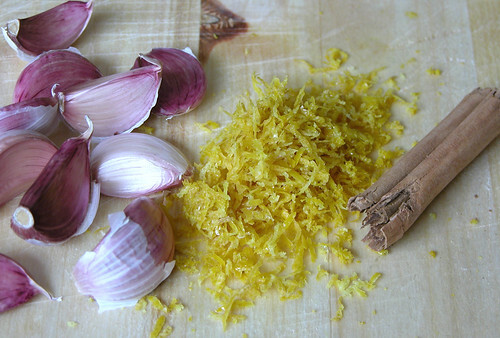 Cinnamon, garlic and lemon zest – and of course, your sage. 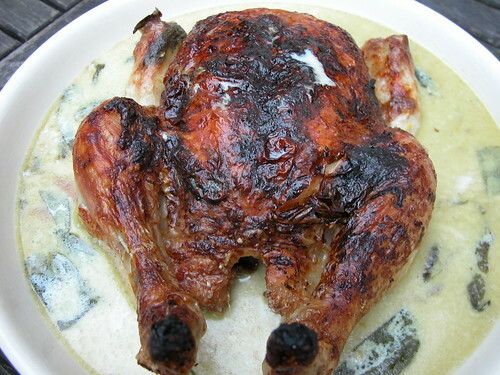 Get your butter, melt it in a pan, and then brown the chicken off. There’s a lot of butter and the chicken is very big and delicate, so it’s slightly easier said than done to move the chicken around in the pan without breaking its skin. I ended up using two wooden spoons like a pair of forceps. 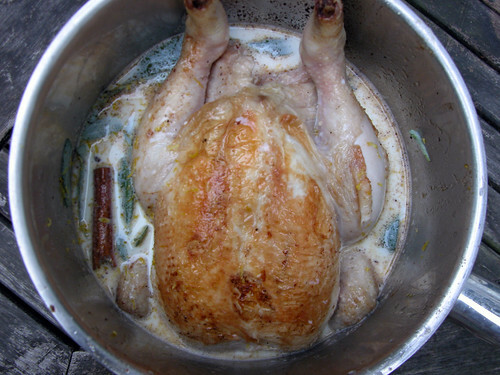 Chuck away the butter (sob sob) and then return the chicken to the pan with the half a cinnamon stick, the sage, the zest of two lemons, the 10 cloves of unskinned garlic and the milk. Looks appetising, but kinda weird. Looks pretty exotic, I think! 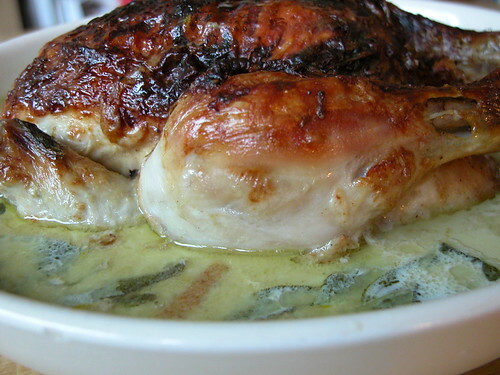 The idea is that the lemon zest slightly curdles the milk and you end up with a split lemony milk sauce which you eat along with the chicken, some mashed potatoes and some wilted greens. We ate ours with roasted pink fir apple potatoes and some spinach. The milk sauce didn’t split that much. 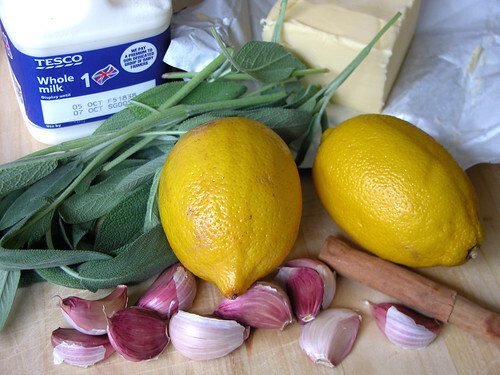 It was very unusual, to say the least – pretty much what you would expect when you infuse garlic, lemon and sage in milk. The cinnamon didn’t show up so much – I blame it on the fact that cinnamon sticks really vary in how long they are. Is that a foodie joke: how long is a cinnamon stick? M gave it 7.5. He said it was ‘all right’. This is his standard answer to things when he doesn’t know what I want him to say.